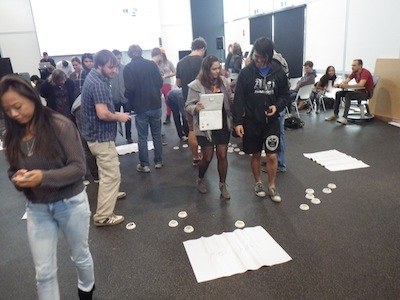 Can we use Transmedia to Inspire a Culture of Sustainability at the University of Canberra ? 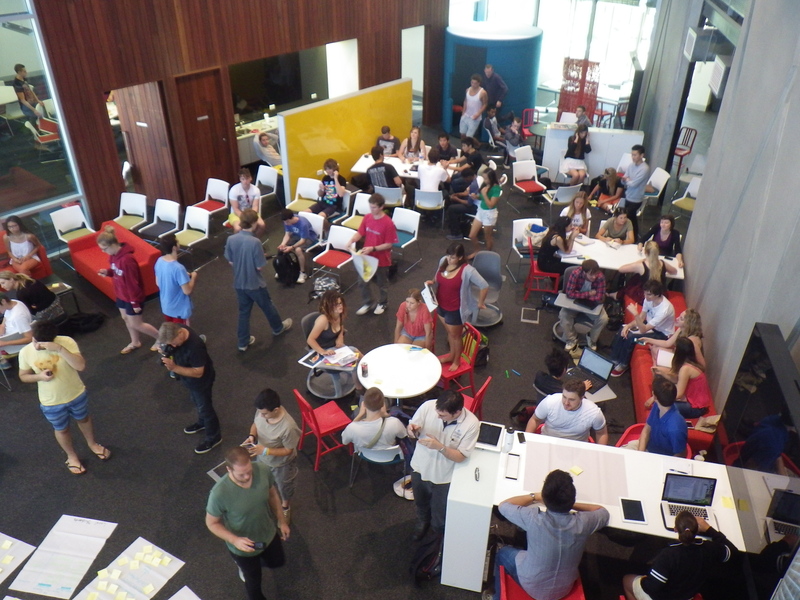 The IDEO deign thinking process was used to guide phases of discovery, ideation, experimentation and evolution in the exploration of this question by more than 100 students in Cross-media Production in 2013. The students designed characters to attract fans and transition them between platforms. A poster blitz and rabbit holes on campus were intended to raise curiosity of niche audiences who would then make the effort to follow story content such as cartoons, animation, and rap music distributed across platforms such as Instagram, Twitter, Facebook, Blogger. The goal was to raise the additive comprehension of sustainability as an issue for the 10,000 staff and students on the campus of UC. By using the campus of the university as an extendable story-world the project also explored large scale peer-production and collective creativity with transmedia. Here is a blog of the process over the course of the project. Below are some student blogs.